Sassyzeal: Want some adrenaline rush? Gotta go to the nearest extreme activity Haven! Want some adrenaline rush? Gotta go to the nearest extreme activity Haven! Looking for an ideal place to gather your family on a reunion? 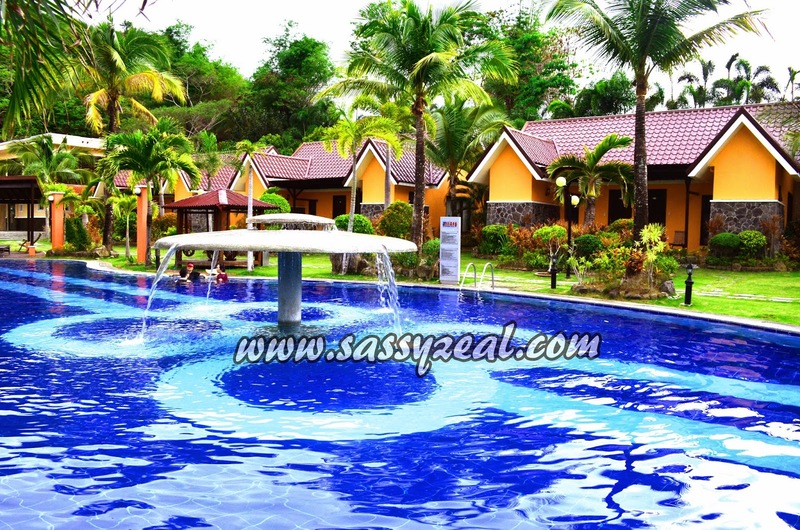 Or have a barkada getaway? 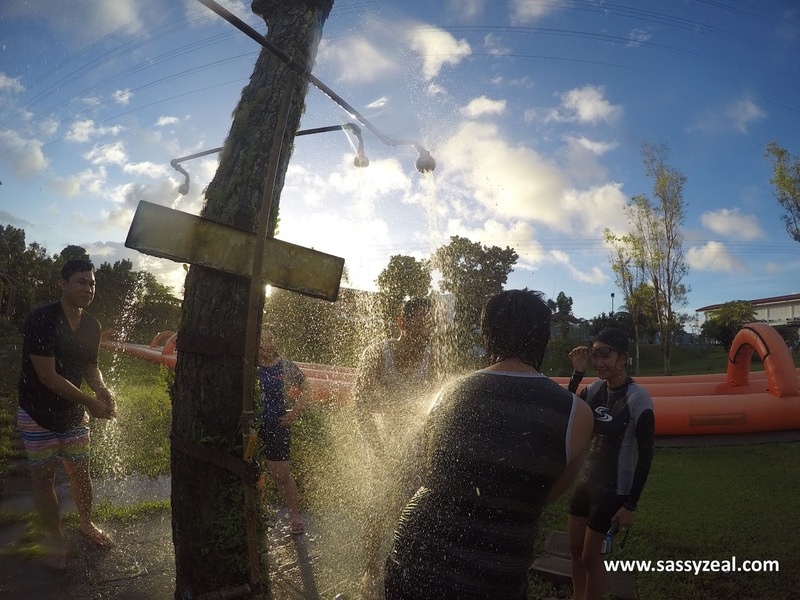 Or company team building and get high on an adventure over the weekend? We’ll no need to travel on a long drive or book for a plane ticket. Just pack up your active gears and water sports suit and get ready for fun! Because the heart pumping activities you thirst for is just 4 hours away from Manila! Nested in the mountains of Caliraya in Barangay. 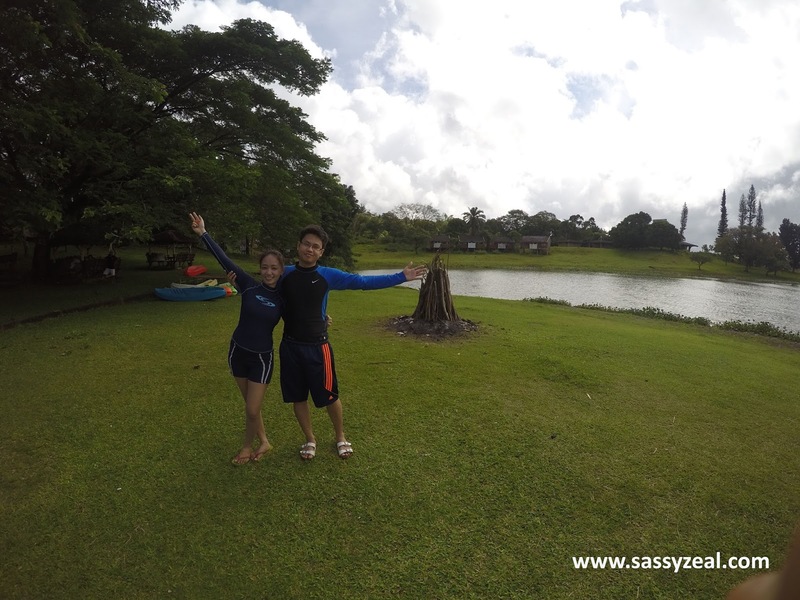 Lewin, Lumban Laguna is the adventure haven of 7.6 Hectares Caliraya Resorts Club. 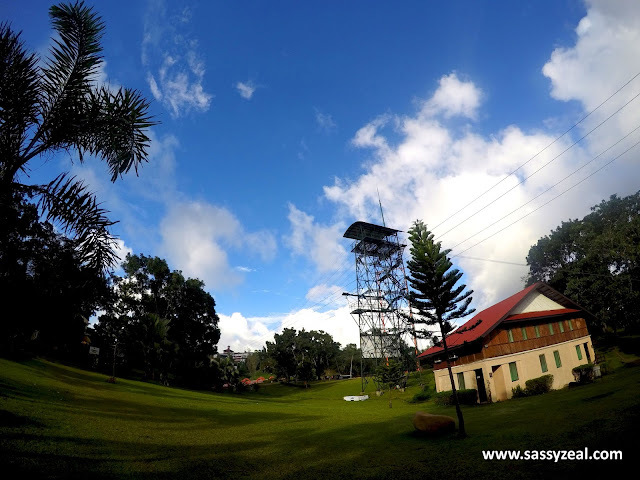 It is expansive resort with complete team building amenities for corporate events, seminars and retreat venue for churches. A team building venue is also available that can cater up to 1500 pax. 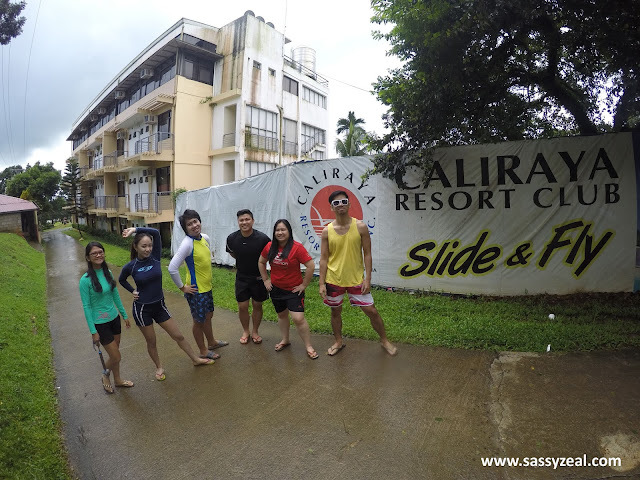 Caliraya offers several activities from fun to extreme ones!Don’t ever miss the thrilling attractions such as Slide and Fly, Super Slide, Free Fall, Bungee Fun, Rappelling, Superman Zipline, Wave pool, Sky Biking and many more! 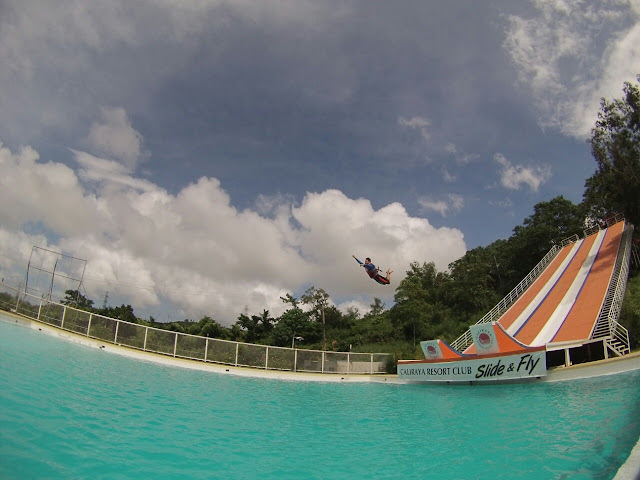 Slide and Fly: A long slide that ends up on a ramp boosting riders for a big splash at the pool. 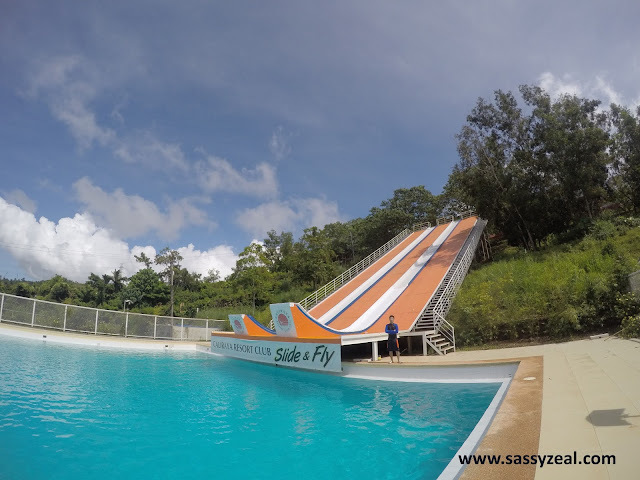 You’ll need to get into the top of a 70 feet high slide or equivalent to a four-floor building and slide down into 20 feet deep water. I was so nervous for my husband who tried this. You need to wear a life vest if you are not a skilled/ Professional swimmer. If you claimed you are, you need to show first your swimming skill to the operator so they will allow you to slide without vest. 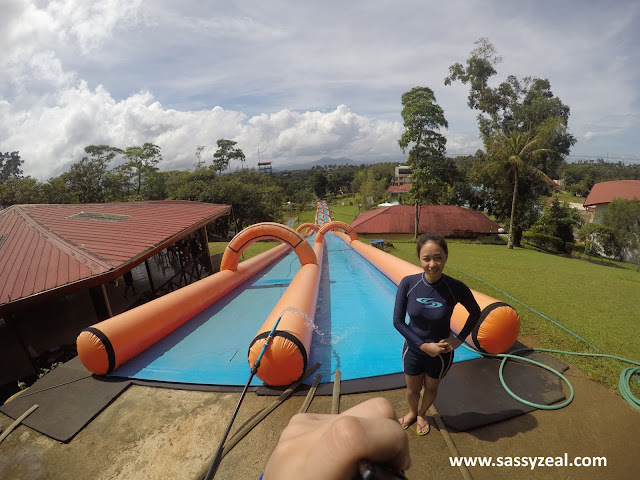 Before doing the slide, you need to fill up a waiver. 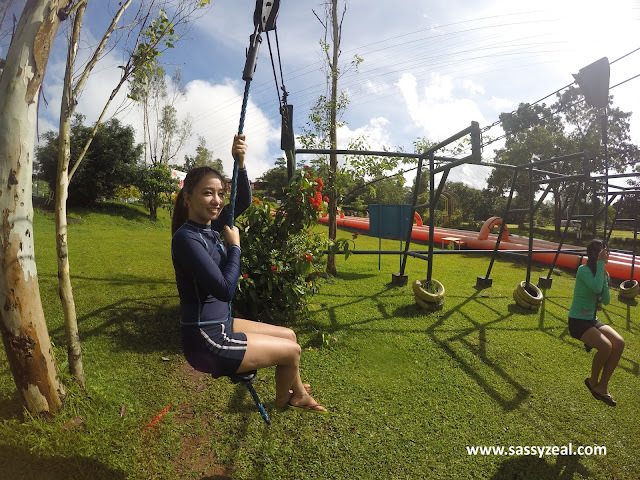 This is to officially agree that the resort will not be reliable to any accident happened and you are willing to voluntarily try this extreme activity. Original Price is 350. Discounted Price is 150 if you are in a group of at least 4 people. The slide will only take 2-3 minutes down to water. 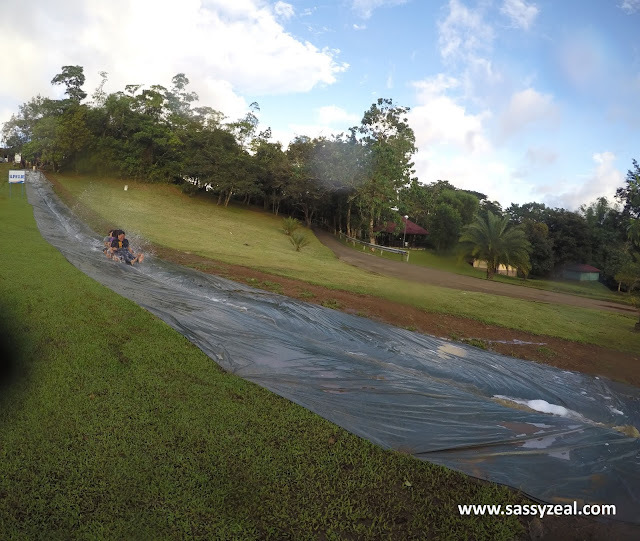 The slide is too steep and the moment my husband showed up from the edge of the ramp after a long slide is a big relief! 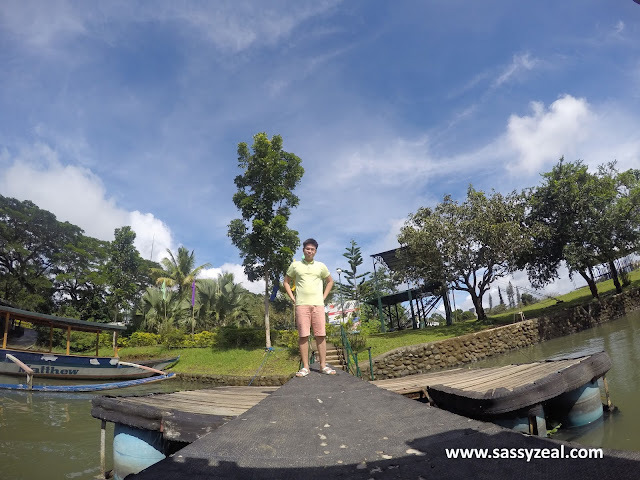 He flew from the ramp to air on a slow motion with Superman look and then fell into the water! 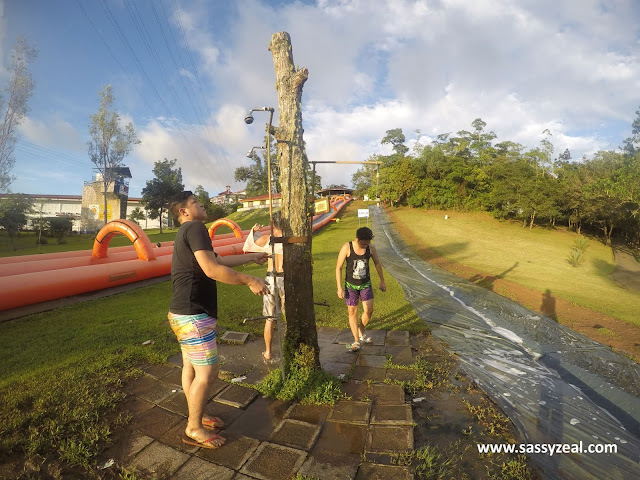 Super Slide is a 550 feet long gigantic slide from the top of a hill. 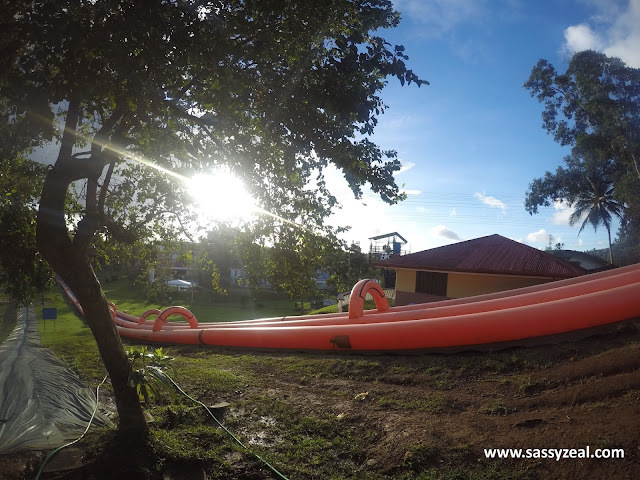 You’ll need to ride in a round floater so you’ll smoothly slide while water is flowing. Staffs will guide you on how to do it. You can slide alone or with companion. Price is 100 per Slide. Mud slide is Fun! 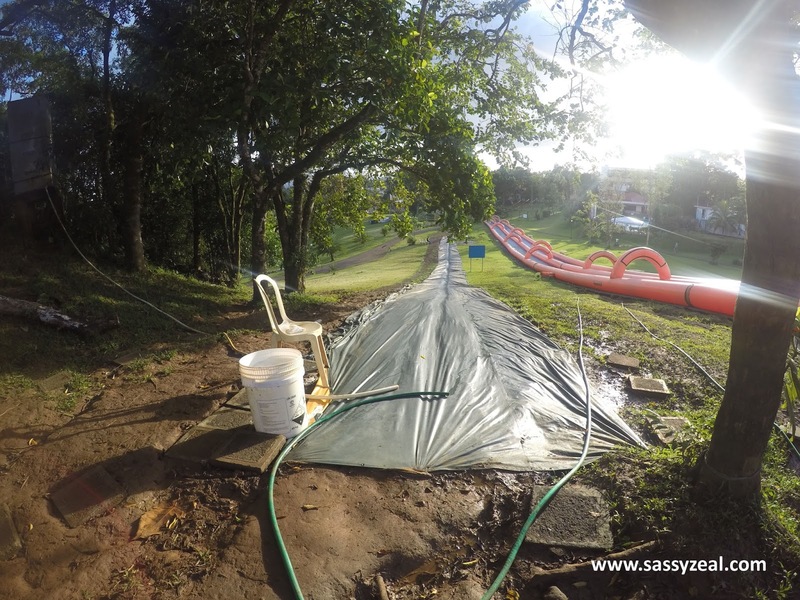 Beside the Super Slide is a shorter slide on mud. This is fun to do with a group. This is FREE! In order for you to slide, they will pour flowing water with powder detergent. At the end of the slide is MUD MUD MUD! Fun thing to laugh at with your friends! Don't forget to take shower after! Slide Pinoy: This is a lower version of zip line. Just sit on the rubber or plastic at the end of a big rope and hang on it. Hold the rope tight as it will slide down to the end. Once you hit the end, get ready for an impact as it will make you bounce back to the opposite direction. 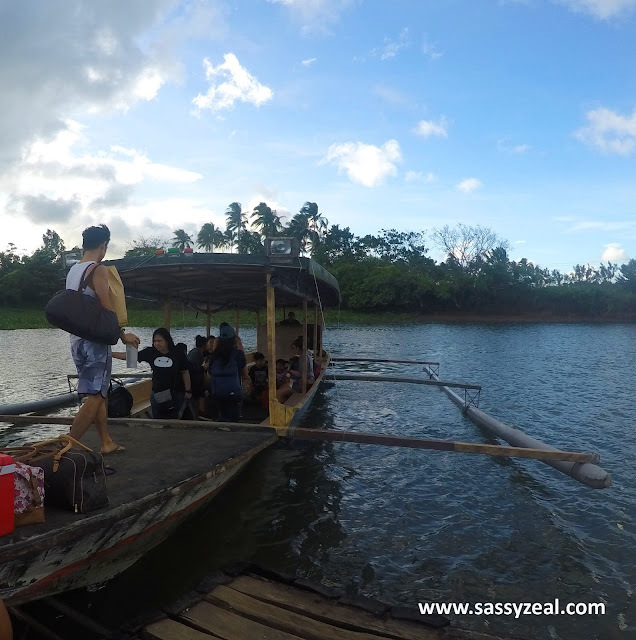 Banana Boating in Caliraya lake: We are 7 pax and we paid P 350 each to enjoy a banana boat in lake for 15 minutes. I just realized that it is harder to do this in lake than in sea because of buoyancy. FACT: It is easier to float in salt water than in fresh water as density of salt water is higher than salt water. Well forget about science. I just wanted to share.We haven’t had much extreme experience on banana boat. My friends wanted the banana boat to flip and throw us into the water. As per the jet ski operator, it won’t be advisable to let the banana boat flip at the middle of 15 minutes time we paid for because it is hard to get up from the water back to the banana boat. So he did it before our time ends. (Just once). 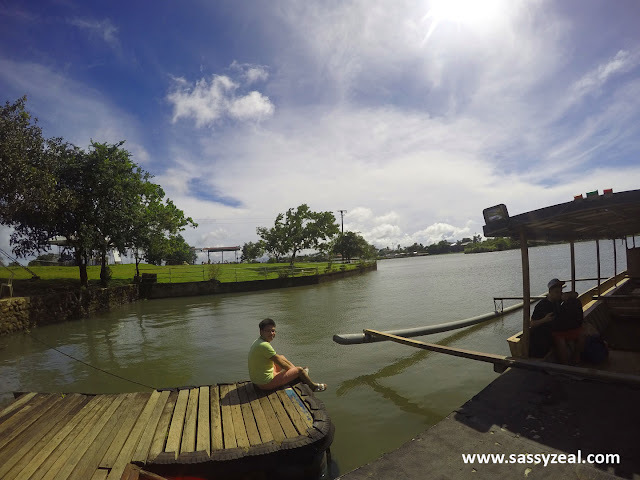 Cottage beside caliraya Lake - Getting Ready for Banana Boating! 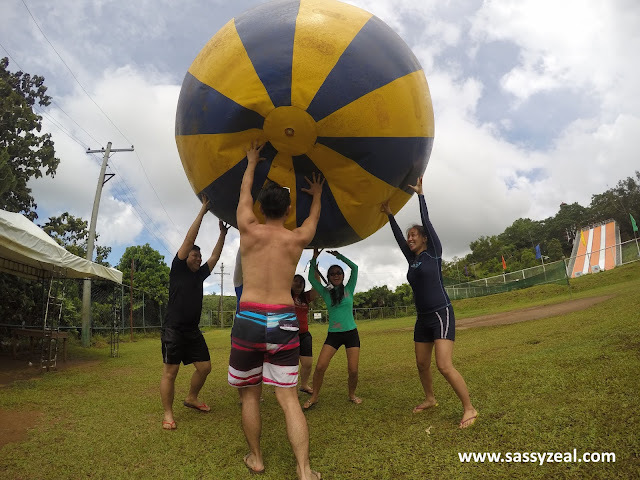 Earth Ball! Giant volley ball activity for team! This needs collaboration and team effort! Really huge ball! 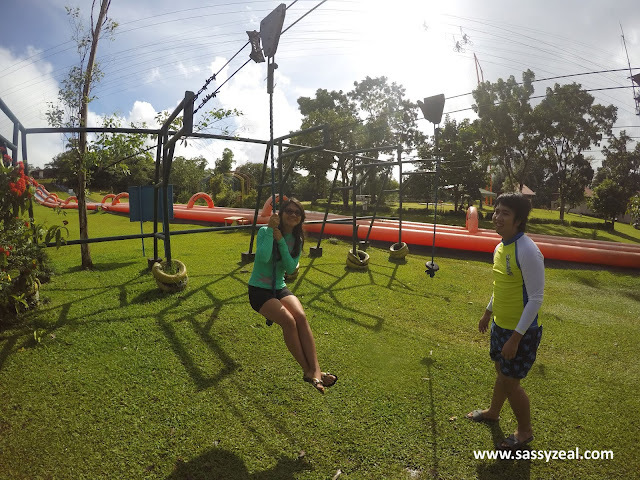 Sky Bicycle, Wave pool, Climbing, rappelling, zip line, kayak, canoe and the latest Giant Swing. 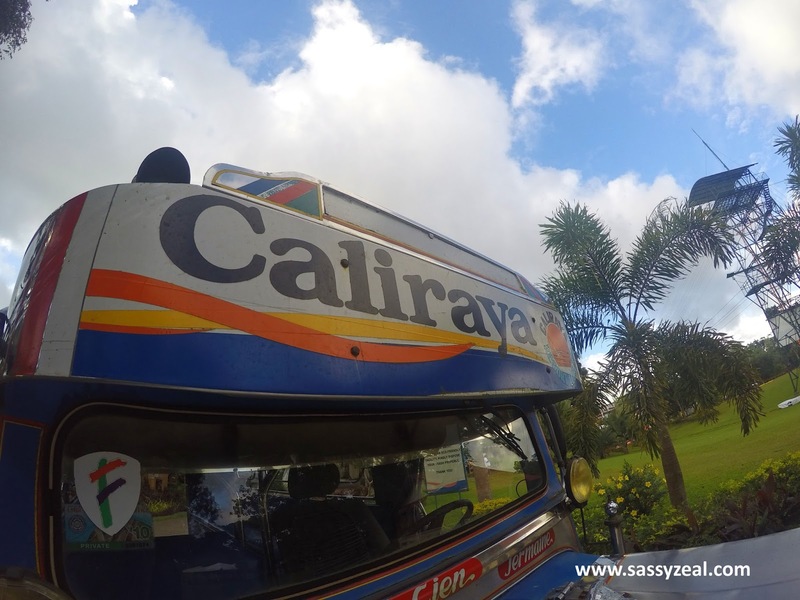 Caliraya day Tour is also available. Overnight Rate will depend on the number of pax. 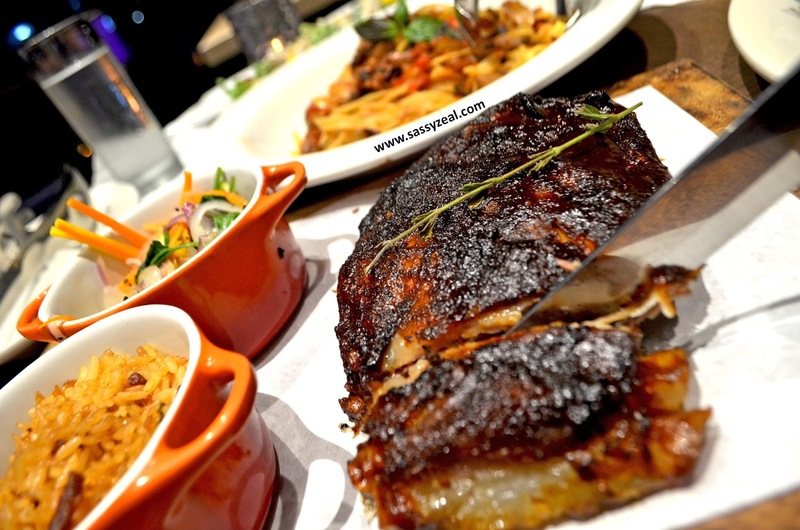 Budget Tips: Always check the website for Discounted or promo rate. Our rate is originally 4,000 per head. 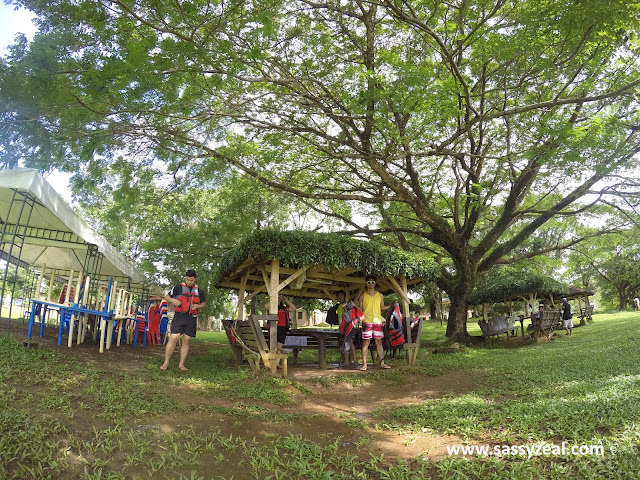 We got it at 1,500 per head including accommodation, buffet dinner, breakfast and lunch and usage of facilities and some free activities. 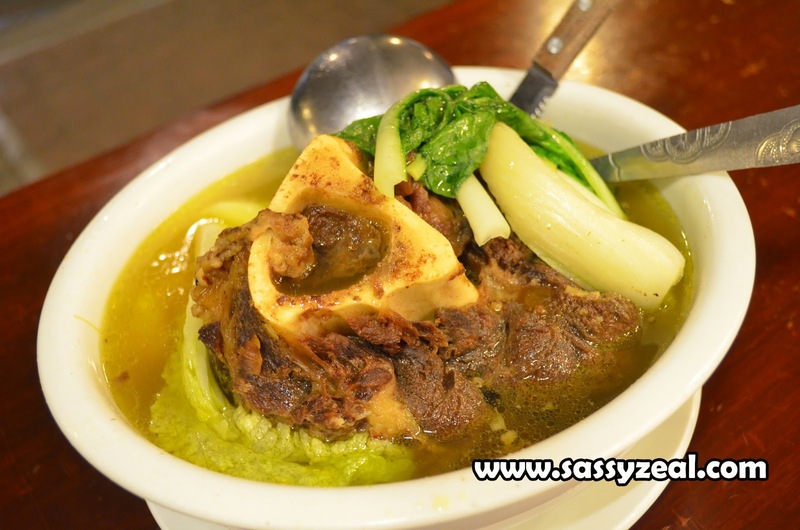 This is so sulit! Also includes boat transfer from the parking lot to the main Resort. It will take 2-3 minutes. Land transfer from one activity area to another for free! Do not expect much in the buffet and accommodation. 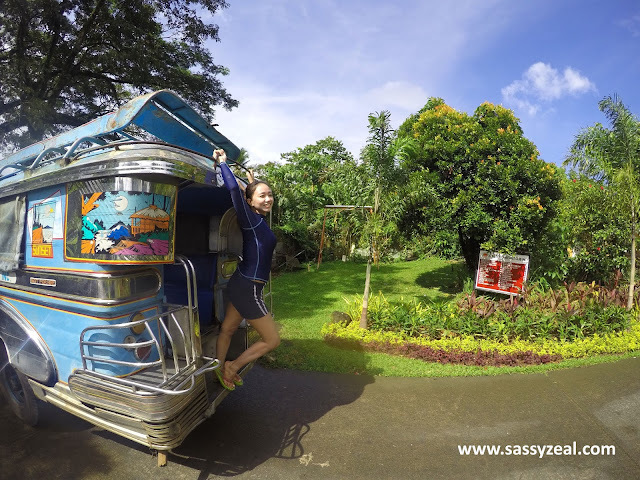 Jeepney FREE Service inside Caliraya resort!